Fiorenzato UK take pride in supplying traditional, high quality espresso coffee machines to the hospitality industry within the North East and the rest of the U.K. Made in Italy, the home of espresso, Fiorenzato espresso machines are exquisite in design and most importantly, they are reliable. At Fiorenzato UK we believe that creating coffee is an art form, not a science. It is a simple process but a process which needs mastering all the same. People tend to over-complicate espresso machines with fancy gimmicks and needless additions to try and create a 'bells and whistles' advantage. However in doing so, they only help move espresso making away from its very essence. The Fiorenzato range helps to recreate the Italian coffee experience. The machines are uncomplicated, easy to maintain and consistently create great coffee. Fiorenzato UK understand that quality matters and we are confident that our brand can live up to your expectations. 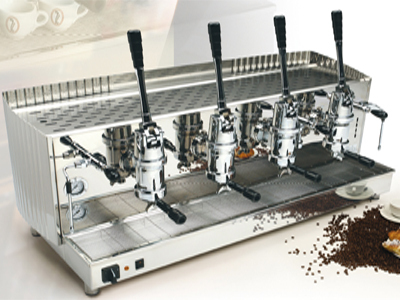 Fiorenzato UK offer Barista training and have our very own parts and service workshop. Click on our testimonials page to read what others are saying about us. too can create good coffee"